Wildlife levels at Kingsmere in Bicester have increased significantly since construction on the development began according to the latest annual ecology survey of the site. A large number of new wildlife habitats have been created as part of the development of the new village on the outskirts of Bicester by Countryside Properties. Populations of wading birds and butterfly species are among those particularly thriving in the new habitats, with more butterflies than ever before being recorded this year. The ecological monitoring undertaken by consultants Terence O’Rourke shows that the Ecological Management Plan for the scheme is proving successful. The ponds on site are now well established and continue to prove attractive to a range of wading birds including sandpipers and little ringed plover, both of which had not been recorded on the site prior to the creation of these ponds. Little egrets and the gadwell, a less common relative of the mallard, have also been quick to start using the new wetland areas. 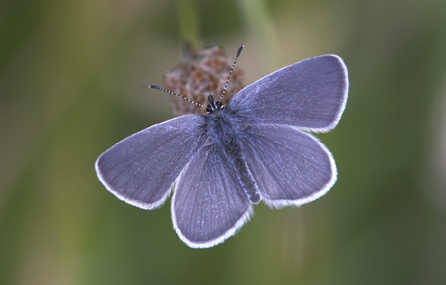 The butterfly survey recorded more species of butterfly on the site during 2013 than any previous survey, including a ‘small blue’ in an area of recently established grassland, the first time this species has been recorded in the area since 1990. Ecologists hope that with suitable management a colony of these butterflies whose population is declining elsewhere may become established in the new grasslands at Kingsmere. The newly established habitats are also improving the attractiveness of the site to bats, with the 2013 survey recording higher levels of bat activity than ever before, with the ponds along Middleton Stoney Road proving particularly attractive to pipistrelle bats. Bat boxes have now been installed in the woodland to provide places for bats to roost, so it is expected that further species of bats will come to Kingsmere in the coming years. Only twelve miles outside of Oxford, Kingsmere is well on its way to establishing itself as a new modern village offering comfortable living with all of the amenities for modern life. New homes are being developed by leading housebuilders, Taylor Wimpey, Bellway, Bovis and David Wilson Homes ensuring a varied collection of homes have been designed to appeal to a wide range of buyers. Alongside these, a wide variety of new facilities are planned including new primary and secondary schools, a village centre with shops, community and health facilities, two major recreational areas with sporting facilities and a business park. A new hotel and family restaurant are already open at Kingsmere. Kingsmere is situated just three miles from junction 9 of the M40 and adjacent to the hugely popular Bicester Village shopping area.